Combined Cycle Gas Turbine (CCGT) power plants operating under rapidly changing market conditions have to minimize costs and maintain a high reliability in order to be competitive. Typically, CCGT plants are designed to operate under specific parameters and duty cycles. Variations in capacity factors and duty cycles can place increased thermal stress and fatigue on the Heat Recovery Steam Generator (HRSG) pressure parts and other sensitive components impacting reliability and performance. This can lead to unexpected outages resulting in high costs of repair & replacement, reduced plant availability, and loss in net revenue. Therefore, adopting adequate maintenance practices, timely inspections, and condition assessments are imperative for avoiding unscheduled outages and protecting the life of your HRSG investment. In this informative webinar, Habib Grini, Aftermarket Services & Construction Manager from CMI, will review key elements comprising successful inspections, remaining life analysis, redesign for upgrading and fabrication of HRSG components. Attendees can ask additional questions which will be covered during the Q&A session at the end of the webinar. This webinar can help you make informed decisions about measures used to extend HRSG lifetimes and improve CCGT plant availability. Habib Grini has 25+ years of experience in operations & management, mechanical design and plant constructions of HRSGs. His experience includes Mechanical design, development, upgrading and revamping of HRSGs and CCGT equipment in a variety of critical industrial applications. He was the CMI leader for the redesign of Vertical boilers Hot and cold casing, has been involved in a number of seismic studies for power plant design including behavior of heat exchangers during earthquake in high seismic risk zones such as Chile, Turkey, Greece, etc. For 7 years, he led major boiler and diverter damper revamping projects from inspection, analysis, engineering to construction and commissioning. 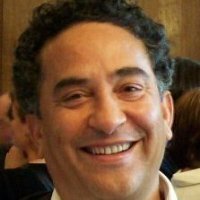 Habib has been with CMI since 1991 in various engineering, construction management and aftermarket service roles. He has a Belgium Masters in Constructions Engineering from Institute Superior Industrial Liégeois and metallurgy Masters Degree from University Catholique de Louvain.